Montreal's mayor is vowing the city will do whatever it can to stop a Canadian chain of recreational marijuana shops that began selling cannabis across the city Thursday. 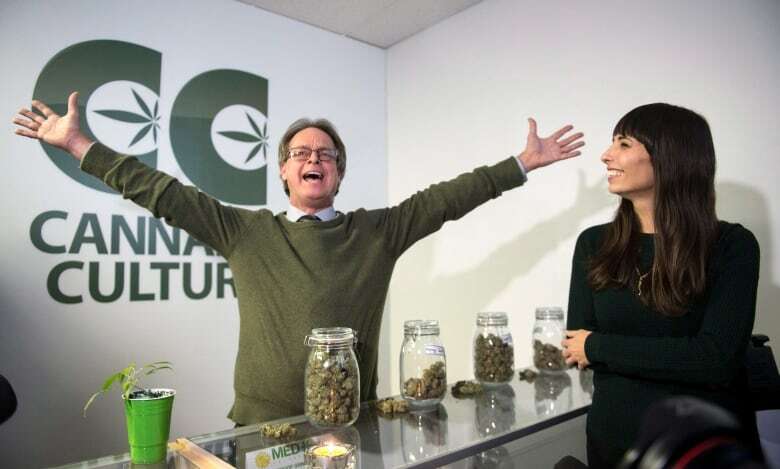 Cannabis Culture, which is co-owned by pot activists Jodie and Marc Emery, already has stores in British Columbia and Ontario. They have now brought their shops to Montreal, even though current federal laws do not allow for the sale of recreational marijuana. The federal government is expected to table legislation legalizing cannabis in the spring. While the Emerys hoped to open eight stores today, two did not open because of permit issues. Business appeared to be brisk at the locations that did open. Montreal Mayor Denis Coderre sent out a tweet Wednesday morning saying there would be "zero tolerance" shown to those who don't respect current laws on recreational cannabis. Dossier boutiques illégales Marijuana à Mtl:Tolérance zéro pour ceux qui ne respecteront pas la loi actuelle. In a subsequent tweet, he said the city will use all the administrative tools at its disposal to stop the illegal stores. A spokeswoman for the Montreal police force added that there could be arrests. "It's still illegal to sell marijuana for any recreational purposes, and it's our responsibility to enforce the law — so that's what we'll do," Cmdr. Marie-Claude Dandenault said. "If criminal acts are committed, we will take action." At a news conference at their Mount Royal Avenue location Thursday morning, Jodie Emery said the only reason legalization is being considered now is that activists broke laws in order to bring about change. Her husband is one of Canada's most well-known marijuana activists. Often described as "The Prince of Pot," Marc Emery was extradited to the U.S. in 2010 and received a five-year prison sentence for selling marijuana seeds. He is also the publisher of Cannabis Culture magazine. Jodie Emery said she and her husband didn't want to wait for the government to legalize cannabis and set up a system that will "usurp the industry from those who built it." "This is not like the dot-com boom," she said. "This industry didn't come out of nowhere. People have sacrificed, campaigned, been punished, demonized, persecuted all because of prohibition." 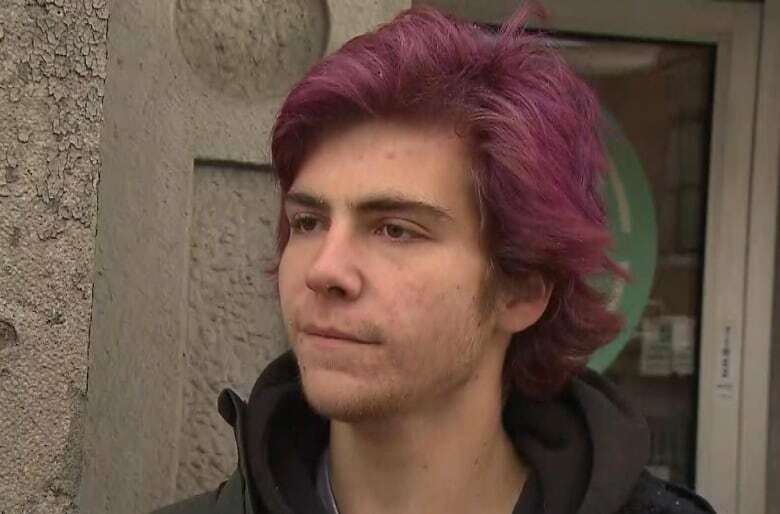 People waiting outside the St-Laurent Boulevard store in the Plateau were told to return later in the day to buy marijuana. The Emerys plan to have 10 shops open by the end of the year. The stores sell to people 19 years old and up, a minimum age chosen to fall in line with the legal drinking age in most provinces. They intend to pay taxes and don't allow children inside the stores, Jodie Emery said. 2200 Mount Royal Ave. E.
The last two locations did not open Thursday because of permit issues. The locations of the Emerys' two other shops have yet to be disclosed. Cannabis Culture shops have had run-ins with police in the past. Over the summer, a number of the stores were raided by police in Ontario and employees were charged with drug-related offences. Cannabis Culture provides a lawyer for employees if they are arrested and charged. Jodie Emery asked Montreal police not to "cause harm to the harmless people" who work at their stores. 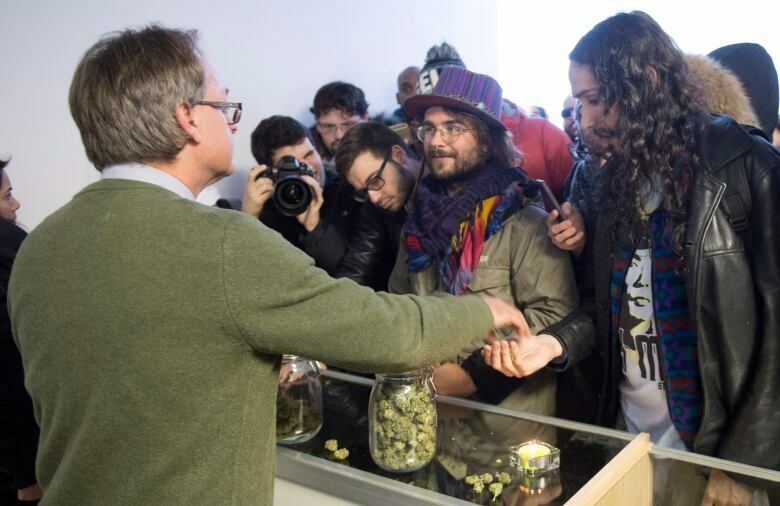 "Please, police, do not raid, do not arrest, do the right thing and let these peaceful businesses operate as they should so we can demonstrate what legalization looks like," she said. Whatever their fate, the Cannabis Culture stores reveal the need for clear municipal rules for such shops, said the Opposition Projet Montréal. "The legalization of cannabis is coming and it will have a major social and economic effect," said the party's new leader, Valérie Plante. "Montreal needs to be ready." Plante called for the creation of a working group to think through the municipal regulations that will be required for such shops, including their distance from schools, opening hours, signage and age restrictions for customers. Projet Montreal Coun. Christine Gosselin pointed to the rapid, unregulated proliferation of vape shops as the kind of scenario that needs to be avoided. Matthis Brun arrived at the location on St-Laurent in the Plateau early Thursday morning. Brun said he was familiar with the Emerys and the stores they've opened elsewhere. "I think it will be better quality, maybe less dangerous for health if it's grown professionally like this," he said. Rémy Couture is a chef and owns a bakery named Crémy, which is right beside the Mount Royal location. "I think it's great. It's a complementary business," he said. "After people smoke some weed, they want to eat something [unhealthy], and they can come here," he said.